Our Medical Team offers $99 House Calls in selected Southeast Valley locations! We perform an array of Medical Tests and Services in the comfort of YOUR HOME or OFFICE! Our tests are state of the art PRC (Molecular) tests using your DNA/RNA to provide us with AMAZING information on what is causing your illness! Our results are complete with Antibiotic Resistance results and Antibiotic Guidance, so that we can prescribe a "precise" method of cure for YOU! We offer Pharmacogenetics (PGX) Testing to determine the patients ability to metabolize medications related to Blood Thinners, Tumor Treatments (Chemo, etc. ), Psychotropic Medications (Anti-depressants, Anxiety, ADHD, etc. ), and Opioid Medications. If Cancer is a concern, we offer Hereditary Cancer Genetics testing to determine probability of all types of Cancers. Planning to have a baby? We also offer Comprehensive Genetics Testing for ALL Syndromes and Disorders. We believe that KNOWLEDGE is POWER! We offer General Wellness Checkups, and Sports Physicals. Let us know what you need us to do and we will try to accomodate! 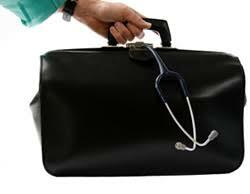 *Our tests may be covered, or partially covered by your Major Insurance Company or Medicare.